Ohio State, Baylor, Clemson and LSU remain the top four teams in The Associated Press Top 25 as the College Football Playoff selection committee prepares its first rankings. There was little change in the poll released Sunday with five of top 10 teams having an open date. The first selection committee top 25 will be released Tuesday night. The pairings for the four-team College Football Playoff will be revealed Dec. 6. It’s anyone’s guess how the playoff committee will line up the teams, and with many of the biggest games of the season yet to be played, there are bound to be lots of changes by the time the final rankings are announced. Things held mostly steady in the AP poll. 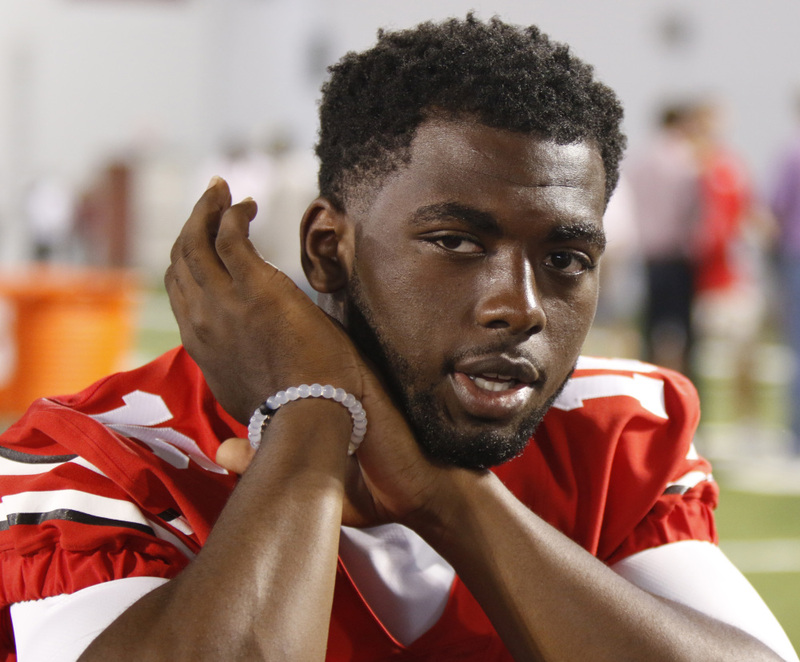 Ohio State, which suspended quarterback J.T. Barrett for this week’s game against Minnesota for being cited for operating a vehicle while impaired, was off Saturday and retained all 39 of its first-place votes. Baylor has six first-place votes after losing one this week but remains a solid No. 2. No. 3 Clemson also has six first-votes, No. 4 LSU has five and No. 5 TCU has four after picking up the vote Baylor lost. There’s a sizeable divide between the top five and the rest, with No. 6 Michigan State trailing the Horned Frogs by 87 points. Lurking behind one-loss teams Alabama, Notre Dame and Stanford is No. 10 Iowa, which moved to 8-0 with its 31-15 win over Maryland. The Hawkeyes have a manageable schedule the rest of the way, with trips to Indiana and Nebraska bookending home games against Minnesota and Purdue. North Carolina, winner of seven straight after losing its opener to South Carolina, makes its first appearance at No. 21 and can take another step toward its first ACC title game with a win at home over Duke. Texas A&M, ranked as high as No. 9 a month ago before two straight losses, re-entered at No. 25 with its win over South Carolina. That incredible loss at home to Miami ended Duke’s two-week stay in the ratings. Pittsburgh, knocked out after losing at home to North Carolina, can get back in if it beats Notre Dame at home this week. No. 3 Clemson vs. No. 17 Florida State. Tigers likely will be a top-four team in CFP rankings and can’t afford to slip at home against Seminoles. No. 4 LSU at No. 7 Alabama. ‘Bama enters game full of playoff implications on four-game win streak vs. Tigers. No. 5 TCU at No. 12 Oklahoma State. First of a bunch of huge November matchups in Big 12.